Dietary indiscretion, food allergies, or lack of digestive enzymes can affect your cat's digestive health. Efficient digestion is essential for your cat to be able to build and repair tissues and obtain energy, and for these reasons it is important to feed a food that is formulated to help support digestive health. 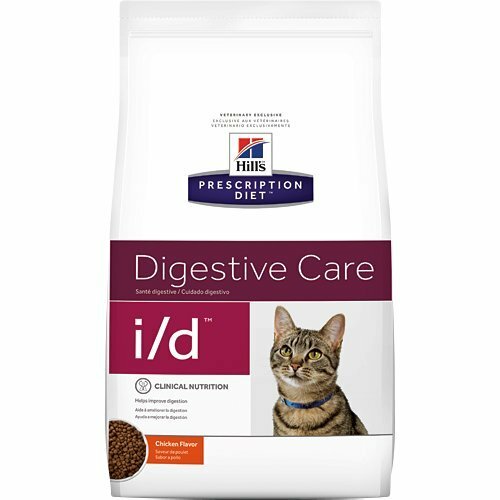 Hill's nutritionists & veterinarians developed Prescription Diet i/d clinical nutrition especially formulated to support your cat's digestive health. In fact, i/d is clinically proven nutrition that helps improve digestion & stool quality.